This is a professional 28" 4K UHD monitor with a 3840 x 2160 resolution, 1ms GTG response time and 60Hz refresh rate for those serious about their monitors. Open your eyes to breathtaking levels of detail with the ASUS PB287Q True 4K ultra-high definition (4K UHD) monitor. The ASUS PB287Q features a 16:9 aspect ratio WLED display that delivers next-generation 4K UHD visuals, with resolution up to 3840 by 2160. With a pixel density of 157 pixels-per-inch (PPI), the PB287Q provides over 8 million pixels, four times the pixel density of standard Full HD displays for astonishingly detailed visuals – allowing you to experience more onscreen real estate and stunning image clarity that have to be seen to be believed. The PB287Q also delivers an impressive 1ms GTG fast response time and a 60Hz refresh rate for ultra-smooth gameplay. With 300% more onscreen space than similar sized Full HD displays, the ASUS PB287Q gives you more space to spread out your various work windows for more productive multitasking. Capable of displaying 1.07 billion colours, the PB287Q delivers outstanding colour reproduction and saturation thanks to its 330cd/m² brightness and a 100,000,000:1 ASUS Smart Contrast Ratio (ASCR). Real 10-bit colours means the ASUS PB287Q provides smooth colour gradations for a more natural-looking transition between hues. The PB287Q also delivers an impressive 1ms (gray-to-gray) fast response time and a 60Hz* refresh rate for fluid and responsive visuals needed to experience today’s games to their fullest. 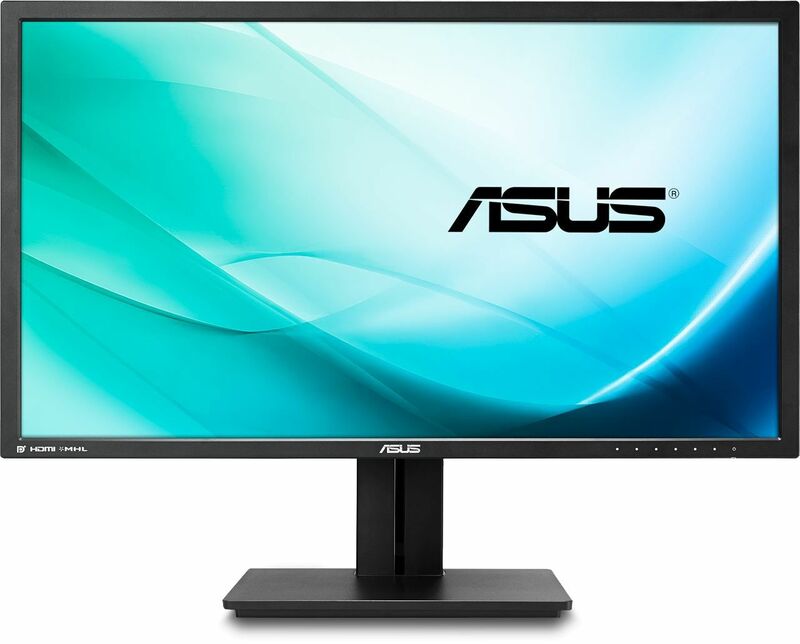 The ASUS PB287Q features extensive connectivity options that include DisplayPort 1.2 for true 4K UHD content support at refresh rates of up to 60Hz, HDMI and a second HDMI port that supports MHL**. You can also use the MHL with HDMI connection to view content from your mobile device on the PB287Q while simultaneously charging the mobile device. Build-in Picture-in-Picture (PiP) and Picture-by-Picture (PbP) functionality let you view content from two different sources simultaneously, with the ability to switch video between sources easily. PiP mode places the second input source window in one corner of the display, while PbP mode splits the screen down the middle. Picture-in-Picture (PiP) mode places the second input source window in one corner of the display – you are allowed to place the second input source window in either top right or bottom right. The PB287Q features a slim profile and an ergonomically-designed stand with tilt, swivel, pivot, and height adjustments so you can always find that ideal viewing position. The PB287Q is also VESA-mountable, enabling wall-mount capability.